A succession of powers having contested and ruled the islands of Malta, including the Romans, Greeks, Arabs, Normans, Aragonese, Knights of St. John, French, and British. The architecture and landscape reflects these influences on the country's ancient culture. Malta became a British colony in 1815, serving as a way station for ships and the headquarters for the British Mediterranean Fleet. 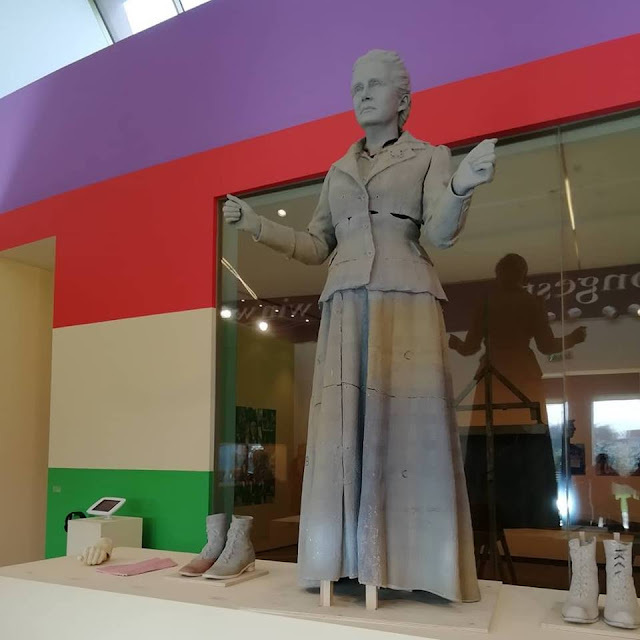 It played an important role in the Allied war effort during the Second World War, and was subsequently awarded the George Cross for its bravery in the face of an Axis siege. Fisherman's huts in the shadows of the Valletta's harbour walls.By the end of the week I was in King's Lynn with a very cold waterside area. The artworks reflect upon the relationship we have to water and issues of sustainability where strong evidence suggests water level continue to rise. With the vast estuary and nature reserve of 'The Wash' close by the issues relating to Global Warming to wildlife and habitat will be keenly felt in this internationally important landscape. A conference is organised for the 17th May well timed in relation to the concerns raised by the Extinction Rebellion movement. Work by Stuart Hearn in the foreground and Peter Mathews in the background. Further details on all the artists involved in the exhibition including Susan Hiller one of the key exhibitors in the show can be found here. 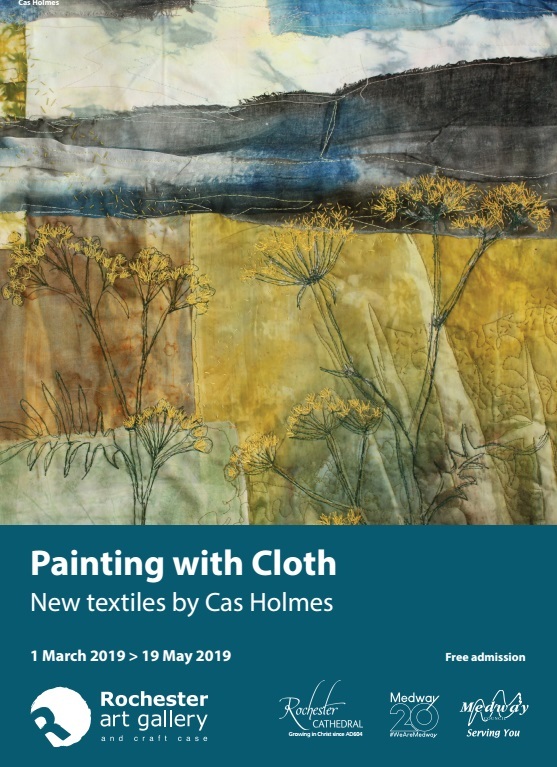 Finally, Painting with Cloth continues until 19th May at Rochester Art Gallery. 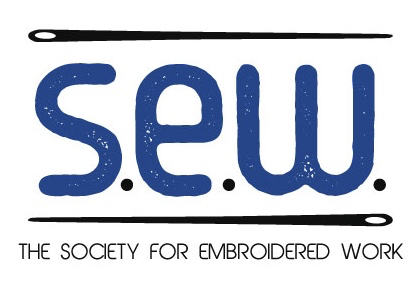 I will be in residence on Saturday 4th May during the Sweep's Festival. 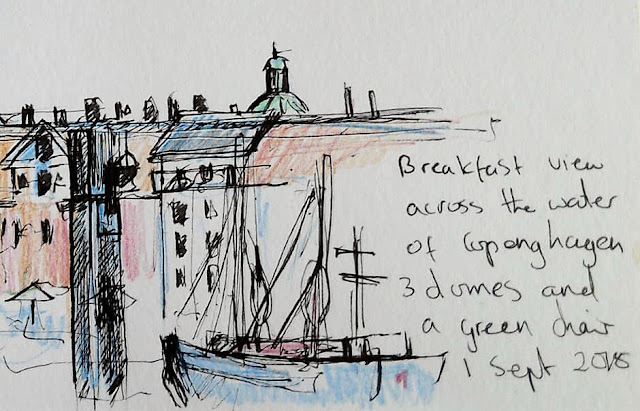 Dictio Terrarum below records some of my landscape drawings made on location as I travelled in the last two years. 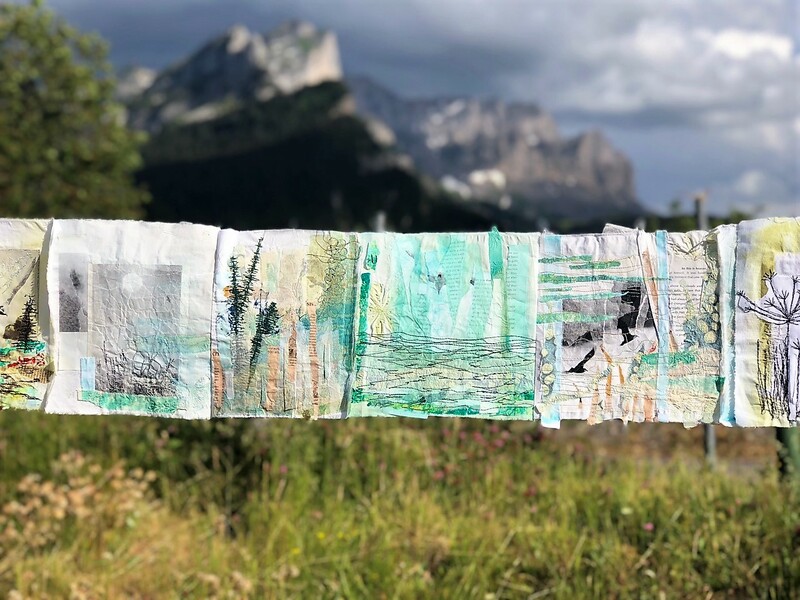 They are on a book pages connected to the landscape. 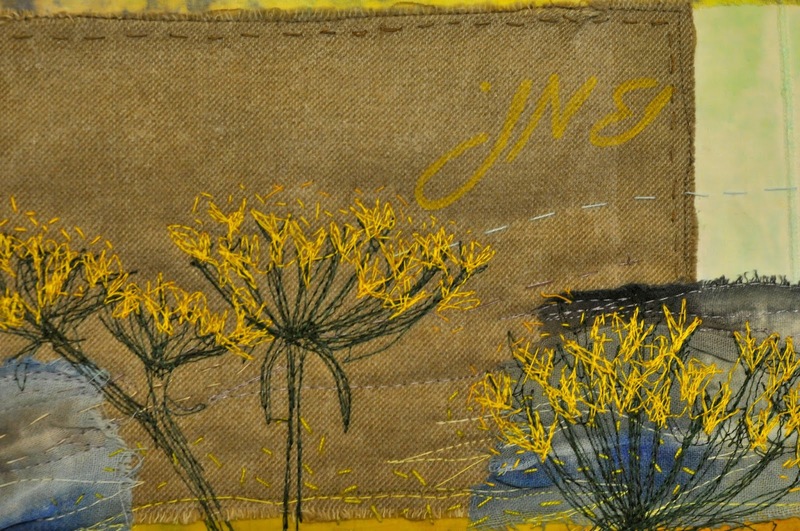 Wild by Art Textiles Made in Britain moves to the Minerva Arts Centre, Llanidloes, Wales from the 4th May to 1st June. The Van Gogh and Britain exhibition on show at Tate Britain looks at how Van Gogh may have been informed by his experience during his short time here by the work of British artists and writers and how he in turn, continues to inspire British artists. 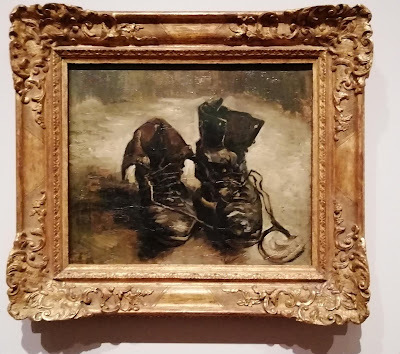 Jonathon Jones in The Guardian and Rachel Campbell Johnson in Times give contrasting reviews yet I would I suggest you make your own way in to the work. 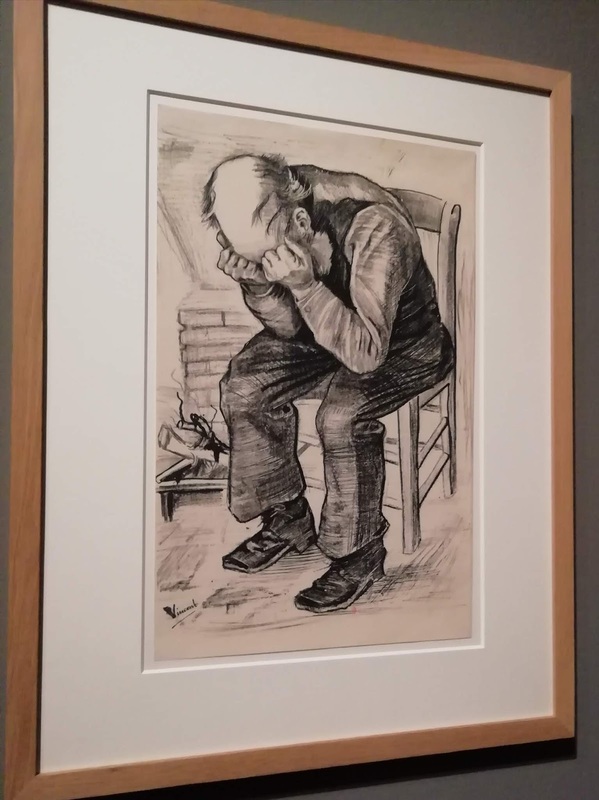 I found the marks he created with a pencil or a brush from the first tentative studies in his early studies to the turbulent energetic swirls of later work the true pull of the show. They demonstrate a growing confidence yet there is also a sense of 'loneliness' and sorrow in those almost desperate swirls and wild marks. This is a man whose connection with the world is painted with a compassionate brush. Van Gogh is held fast in the popular vision yet I came away with another view of the man whose work we may be familiar with. The connection to the human condition and the landscape we inhabit is felt in every mark he makes and is as relevant to today as it was over a 100 years ago. 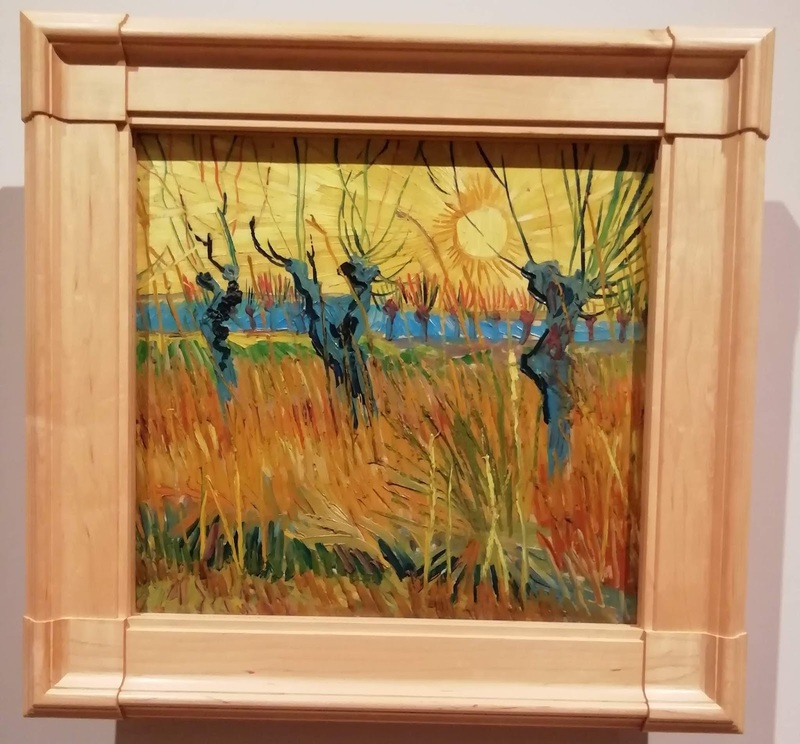 As Van Gogh suggests, 'leave it to the critics', just enjoy the insight into the man and his work that this show allows. Showcase. 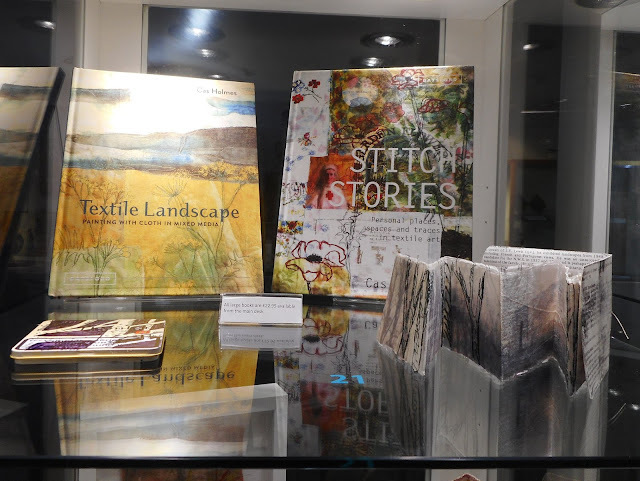 Received the news that Stitch Stories was being reprinted at the private view and Textile Landscape is going for its second reprint. 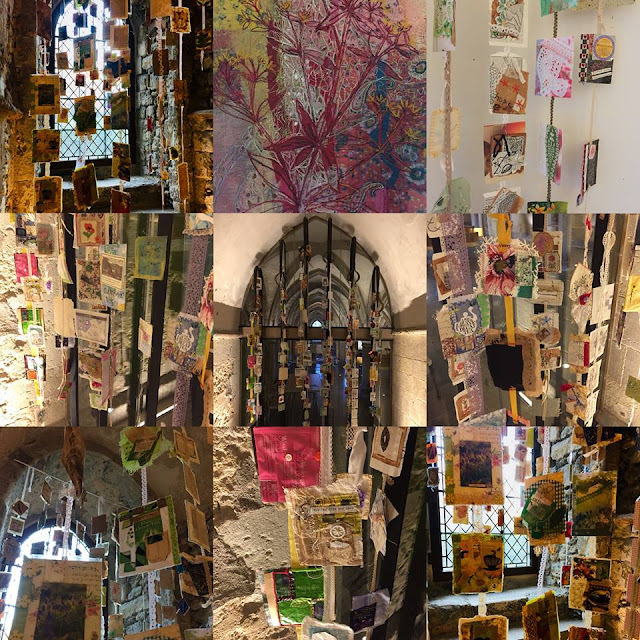 Tea Flora Tales in Rochester Cathedral alongside Madder. It is good that is has come home to its spiritual birthplace with Plantlife's flagship reserve at Ranscombe Farm close by. Art Textile Made in Britain held its first exhibition of Wild outside the Festival of Quilts at the Minories in Colchester. 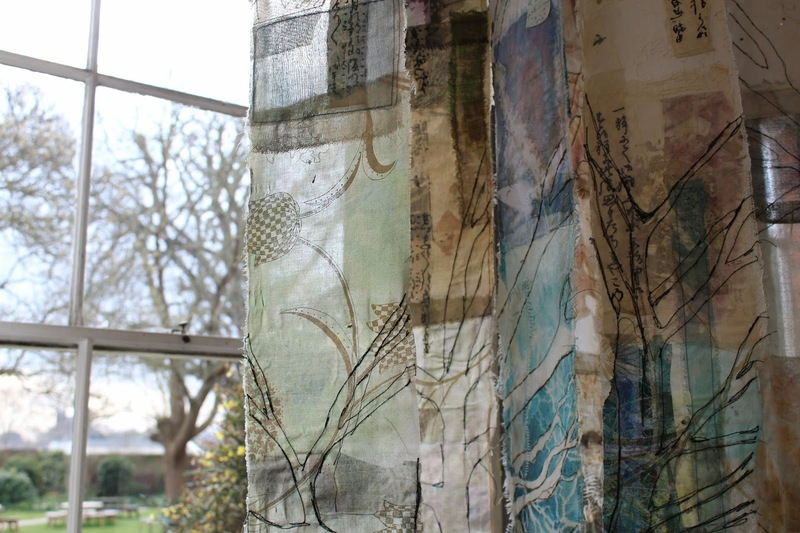 My Trees installation took on a more open quality positioned near windows echoing the trees behind. 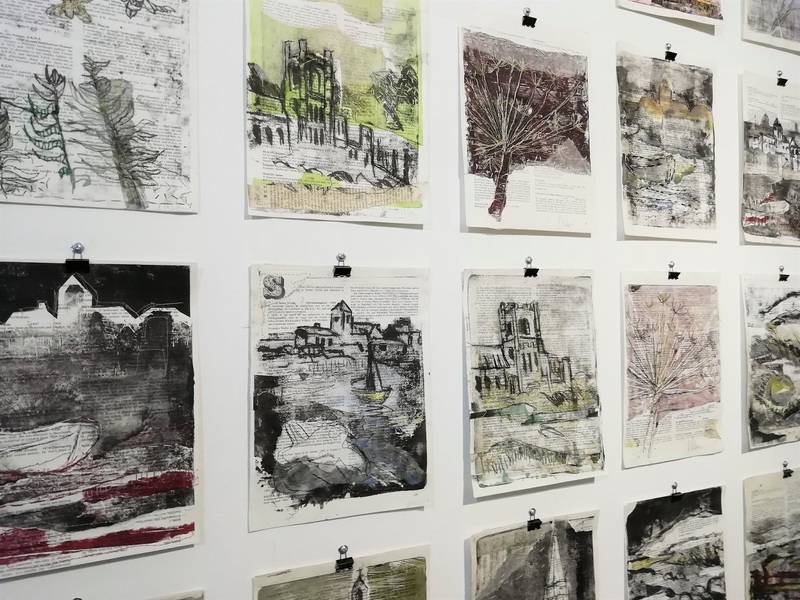 Great care was taken in this exhibition by the Minories team. (Trees was taken down and replaced everyday as it triggered the alarms so was indeed a continually changing installation). The next venue is the Bramble Patch in Weeden, Northhamptonshire from 6 - 23 April. Entrance fee - a donation of £2 for the Alzheimer' Society. Whilst in Colchester it was good to be able to visit the Firstsite Gallery. 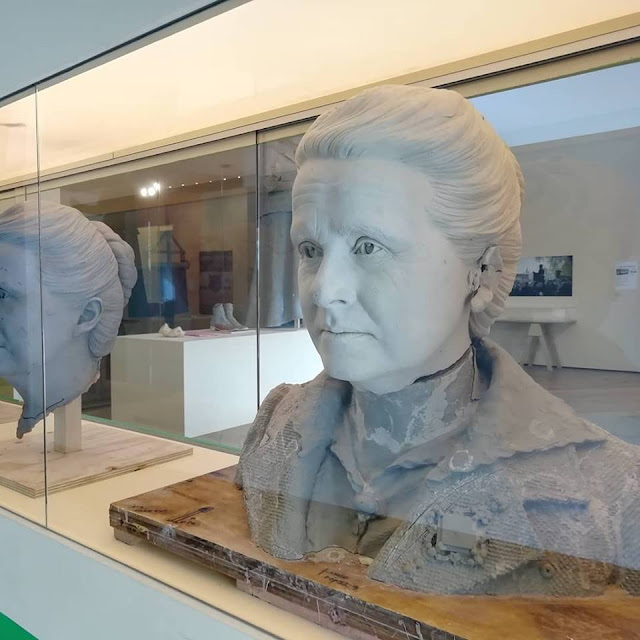 An amazing space and at the same time take in a little exhibition about the making of the Millicent Fawcett Statue by the artist Gillian Wearing. The clay was moulded into hessian to create the texture of the skirt for the detailed relief of the bronze. 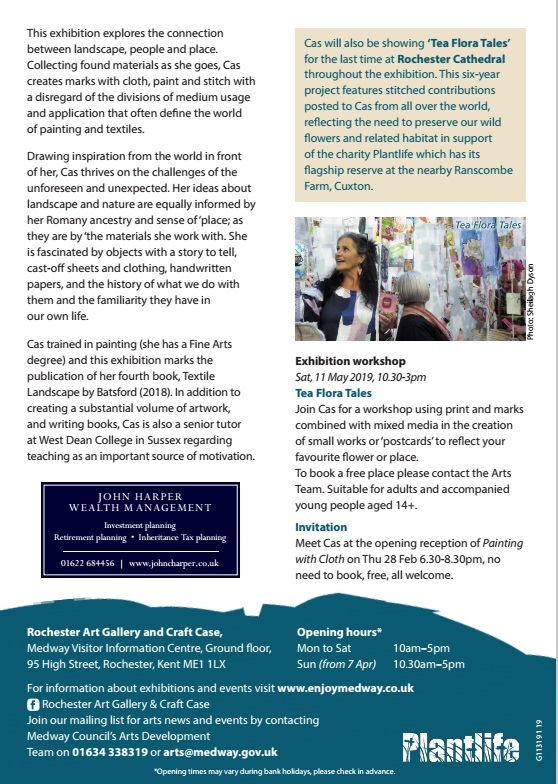 I am busy preparing for my forthcoming exhibition 'Painting with Cloth' at Rochester Art Gallery.The Arts Development team have done a fabulous job on the supporting publicity which contains all the information you need. 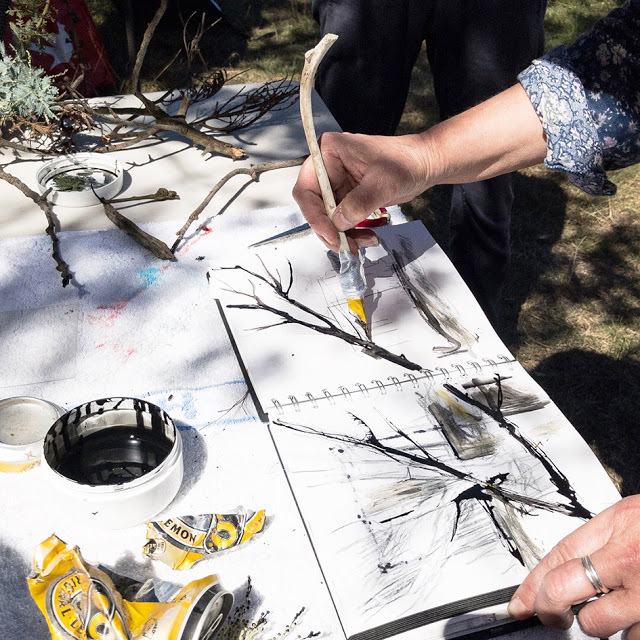 Trees featured in the video below (taken by ATMIB member Sylvia Paul) is currently on exhibition in WILD with Art Textiles Made in Britain at the Minories in Colchester from the 9th February-2nd March. It then tours through to beginning of 2020. Finally, (but not least) delighted to have an article in issue 173 of 'Be Creative '. I can also offer two free back copies with a 3 month subscription in an exclusive offer. 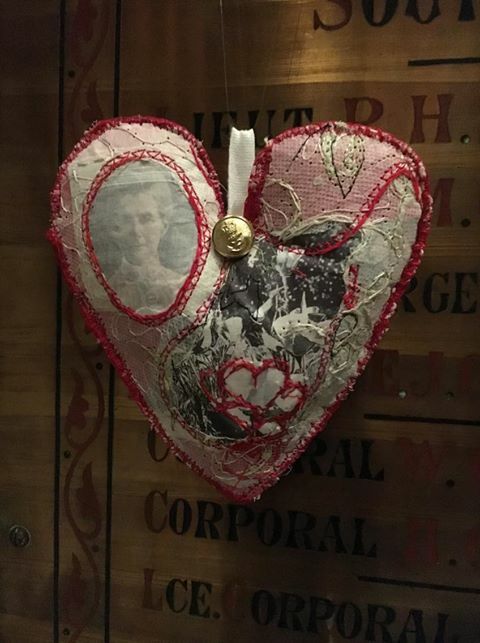 I am delighted my Heart, For King and Country which was displayed as part the 100 Hearts exhibition organised by the Embroiderers Guild UK will now reside in the collection at Norwich Cathedral. On one side it featured family members, with the surname Holmes and King and on the other, Edith Cavell who is buried in the precincts of the Cathedral. As we near St Valentine's Day, it is appropriate that my heart resides in a place I love and would walk through regularly on my way to and from school. Made a few sketches and studies. Trying to capture a sense of what I felt and saw further on in the walk for the few minutes I could hold drawing tools in the cold. 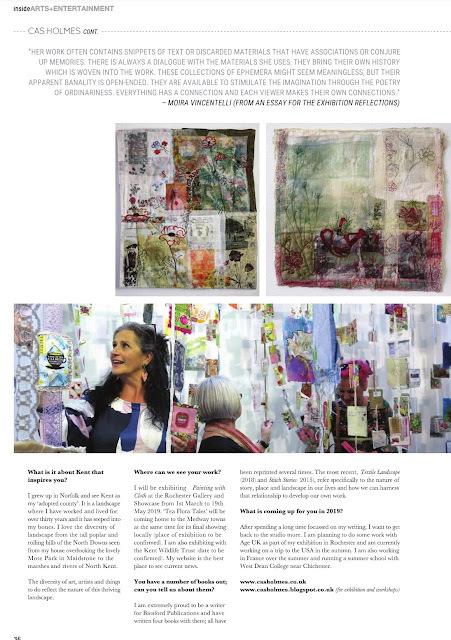 This article in Inside Kent Magazine (January 2019) reflects upon how I take inspiration from the 'world around me' and projects in 2019. 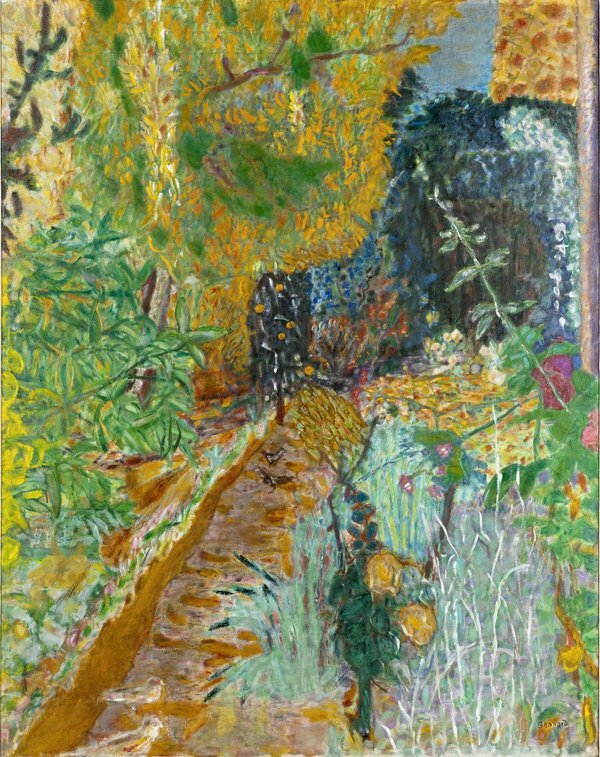 Bonnard talks about this needing to catch a feeling of place. His colour reflecting the warmth of the South of France. 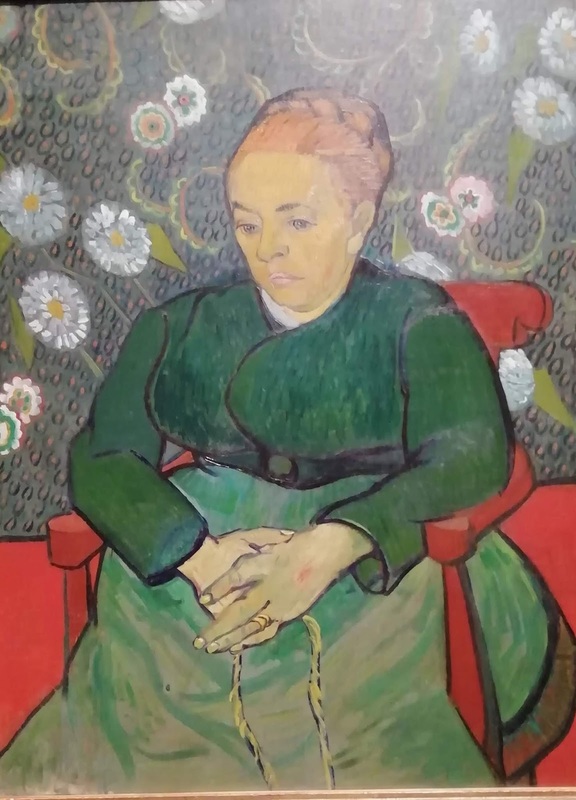 The exhibition The Colour of Memory at the Tate Modern is well worth a visit. Welcome to the turn of the year once again and equally, I cannot believe how quickly time has passed. This lovely picture of winter trees is reflected in the West Dean Gardens glasshouses. 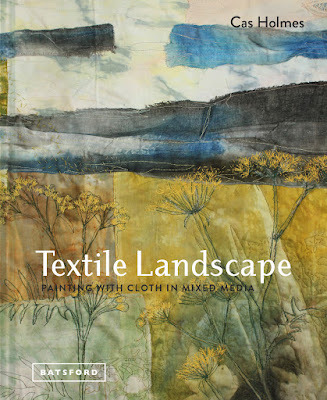 I started the year with a photoshoot for Textile Landscape and by the end of the year it was released for circulation (in September) and sent for reprint on the day of its release. All four of my publications have been reprinted this year so I would like to say a BIG THANKYOU to everyone who has contributed to and supported my writing including the Batsford editorial team and Jacqui Hurst for her beautiful photography. Just through today, a gift of a review by Sam Packer. 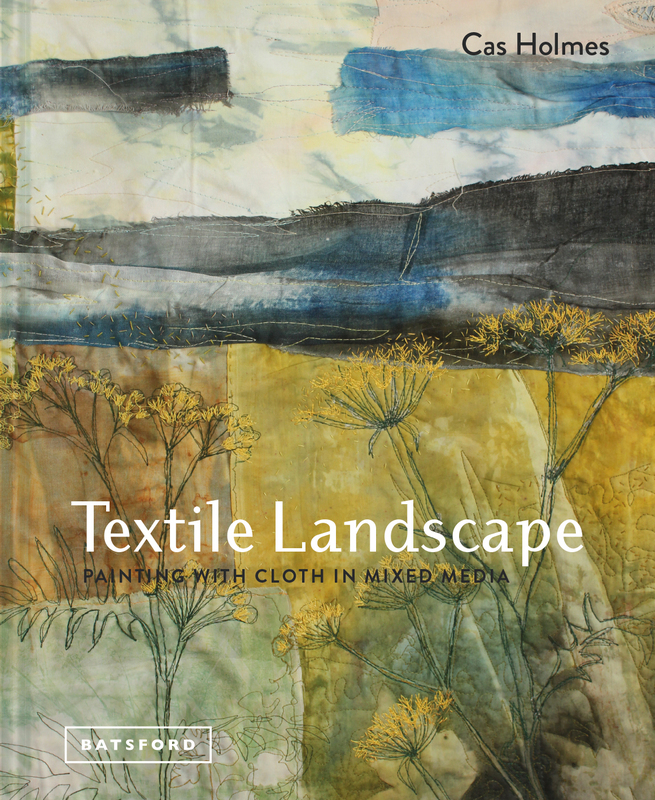 This publication has featured throughout the year culminating in a guest gallery Tea Flora Tales and Textile Landscape at the Knitting and Stitching Shows in the Autumn. The gallery, beautifully designed by the Upper Street Events proved popular with visitors engaging with the work commenting on the joy they felt in being in the space. I was equally thrilled to be in a video interview with Arnold's Attic. 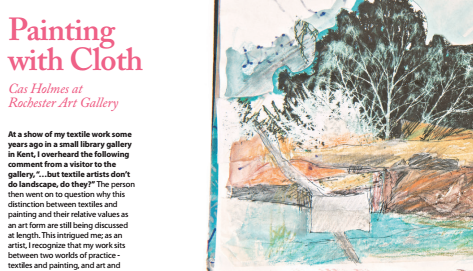 A selection of this work with other pieces will be shown at Rochester Art Gallery in the Spring. The quote below is from an interview with Helen Bowen in Sewing World Magazine in March is very apt for the last year, The creative process has been part of both a physical journey and 'mental footpath' for me this year. It is often commented on that 'I get around a lot' and will admit, it is sometimes a juggling act (more down to luck than 'time management) at times that I have managed to be where I should be. By the end of March I was back in Australia again under the kind invitation of Fibre Arts Australia and am in early discussions to return in 2020. I even ran a session in the bush and created a pen from a kangaroo bone and a tin to demonstrate with on location. 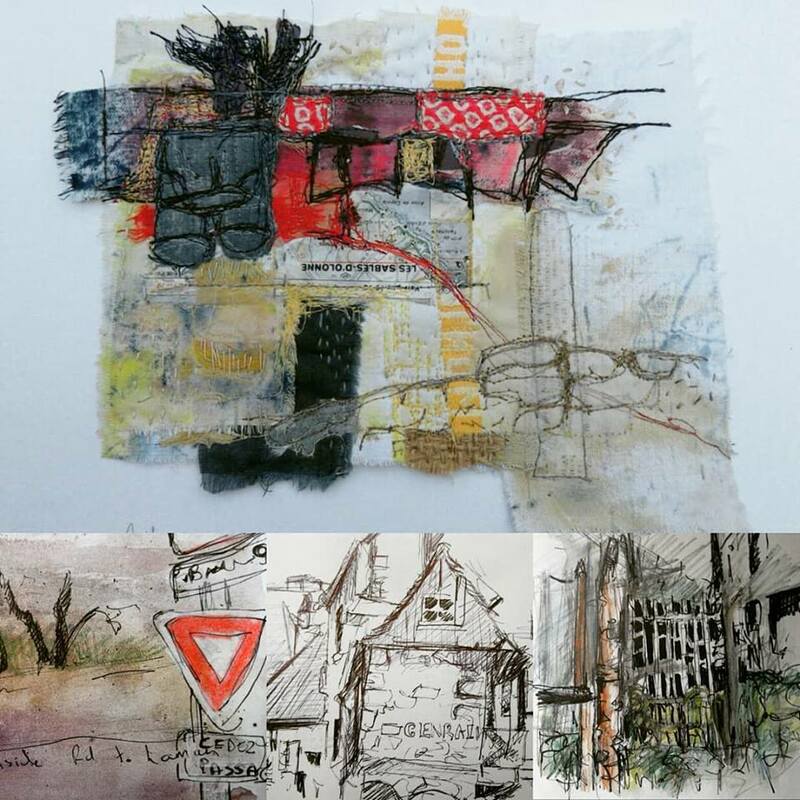 Touched base for a few days before exhibiting as guest artist at Nadelwelt in May. 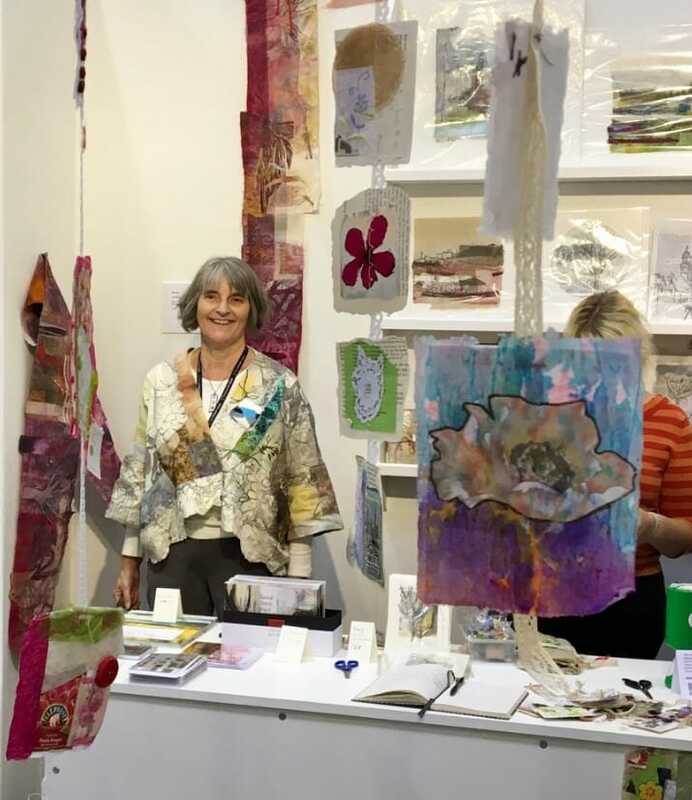 This major European Textile Festival saw the first showing of a few of my smaller landscape works as well as Tea Flora Tales. Finally, to end the year. 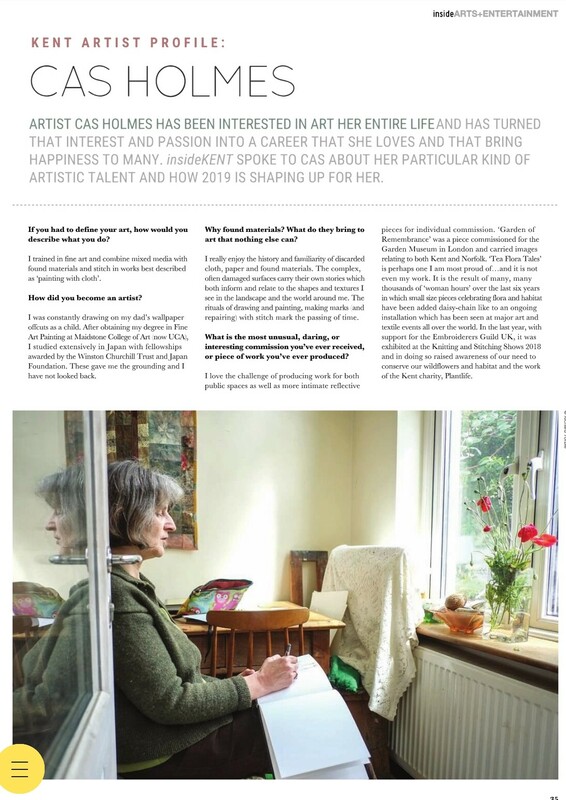 I am thrilled to be interviewed in WOWbook 3 by the wonderful Sam Packer. I have a few copies for sale and you can also buy direct at D4Daisybooks for £25 plus postage. Well that's my year. Its not been all work. Been to see a few shows including the Anni Albers at the Tate Modern and Fashioned by Nature at the Victoria and Albert Museum which close late January. Off to Norfolk for the New Year and a walk in the woods.